We’re only a few games into the NBA season, and the league is still sorting itself out. An offseason full of moves has left most every team with something new to piece together, and as a result it may be a while before we get a feel for the season. Along the way, certain players will inevitably reveal themselves to be, if not necessarily the best, then the most pivotal players on their teams. So, here are the best picks for the 10 most pivotal players in the 2018-19 Western Conference (in no particular order). We may never know exactly what happened when, fresh off an aggressive trade demand, Jimmy Butler showed up to dominate a preseason practice and, “allegedly,” berate the entire Timberwolves organization. The gist of it appears clear, however, and includes Butler expressing that Minnesota’s young, would-be stars lack toughness. It seems as if this was directed primarily at Karl-Anthony Towns, but in my opinion it’s Wiggins who could benefit. Towns is closer to maximizing his talent, and is more set in his personality – by all accounts a little offbeat, perfectly pleasant, but not exactly alpha-quality. 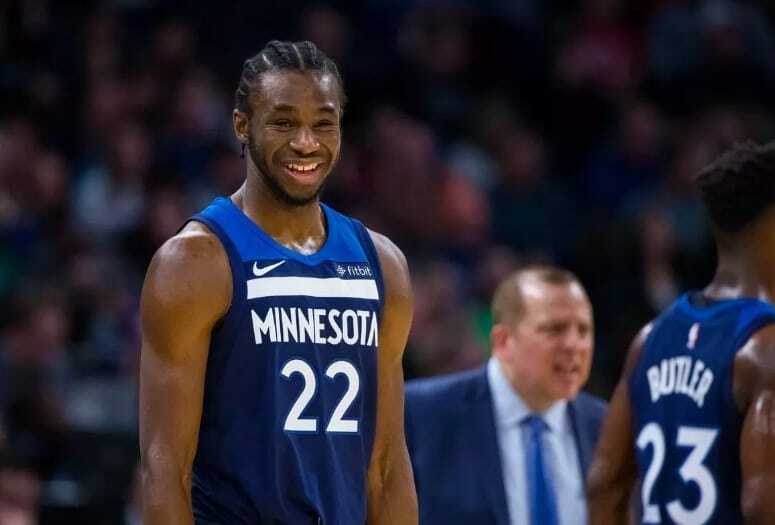 Wiggins on the other hand could still be doing a lot more with his talent and athleticism, and feels as if he might still be figuring out who he is as a competitor. It’s hard to imagine him adopting anything close to Butler’s competitiveness, but getting even half-way there may be the key to saving this once-promising core. Rajon Rondo was a bigger loss for the Pelicans than DeMarcus Cousins. While Cousins played at anMVP level when healthy last season, his absence forced Anthony Davis to unleash himself. Furthermore, Nikola Mirotic proved a more-than-capable frontcourt mate for Davis after arriving from Chicago. Rondo is harder to replace. His ability to lead and facilitate allowed Jrue Holiday to thrive off the ball and helped Davis play the best basketball of his career. And while there are plenty of more productive point guards, no one does quite what Rondo does. It will be Elfrid Payton’s job to try. He came into the league with a reputation as a potentially elite distributor and has had an up-and-down go of it, but he’s young enough that he could still surprise us. Here’s an early take on the new-look Lakers: Josh Hart is not only better than Kentavious Caldwell-Pope, who’s starting in his place – he’s better than any of LeBron James’s teammates from a season ago, save Kevin Love. Hart may not have the stratospheric upside of Brandon Ingram, and he doesn’t serve the positional need of small-ball big man (which is a thing) Kyle Kuzma, but he does a little bit of everything, provides great energy, never screws up, and has the basketball maturity of a six- or seven-year veteran. It’s a given that the Lakers as currently constructed will go as far as James takes them, and will probably only be a real Finals threat if Ingram makes a leap. But Hart feels like the guy who can tip the scales in playoff series down the line. I’ve heard some people suggest that James Ennis III is a fair, straight-up replacement for Trevor Ariza. He’s not. Ariza is a little bit taller, a little bit longer, and at his best still a better defender. Their shooting percentages are comparable, but Ariza has done it at a higher volume, and all in all he’s just been the more productive player. I don’t buy that the Rockets simply won’t miss Ariza. However, Ennis III is a good, switchable defender who should at least fill in nicely for Ariza and Luc Richard Mbah a Moute (who is also gone) on the defensive end. If he can fill this role and also hit his open threes, he’ll be the guy who can keep Houston from taking a step back. Devin Booker is a budding superstar in Phoenix, and I firmly believe DeAndre Ayton will reward the organization for selecting him first in the 2018 draft. In a way, while by no means exact parallels, these two are the new Andrew Wiggins and Karl-Anthony Towns. And I believe their ceiling together is higher (though that’s not exactly going out on a limb given the Timberwolves’ recent turmoil). Surprisingly easy to forget in this equation is Josh Jackson, who rounds out a potential “big three” that could really turn into something. 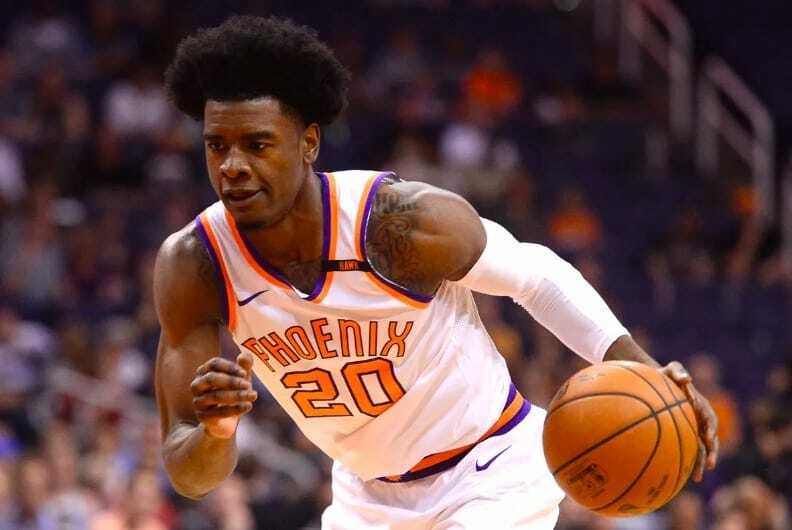 Known primarily for defense and athleticism, Jackson actually came a very long way with his offensive game over the course of his rookie season – which nobody noticed because Phoenix was tanking and only watchable if Booker was going for 50. So here are some interesting numbers to get you to pay attention: in 38 appearances in 2017, Jackson broke the 20-point barrier just one time. In the 39 games in which he appeared from January 1st through the end of the season, he did it 16 times.